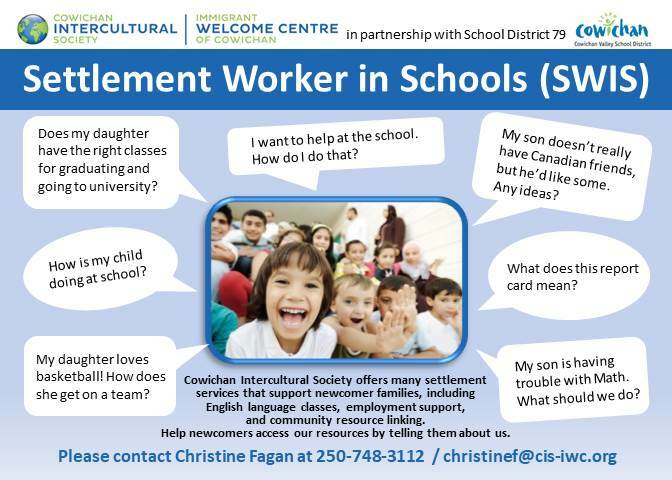 Connecting immigrant and refugee students and their families to school, community and government resources in the Cowichan Valley. Many other settlement services are available to immigrant and refugee language classes, employment linking, and youth programs. We also provide a wide range of diversity workshops for schools, businesses and communities. For more information please contact settlement@cis-iwc.org.